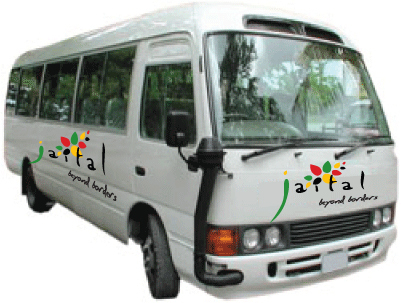 Looking for a taxi from Falmouth?...Jaital offers an exclusive inexpensive way to be transported in style and comfort from your cruise ship pier in falmouth Jamaica to Montego Bay, Rosehall, Ocho Rios and back, with time to spear. After introduction and a friendly exchange with our representative, board a cool air-conditioned vehicle for your shared or private transport to the beach, casino, resorts, attractions, restaurants, bars, cafes, lounges and more. * Space is limited...book as far in advance as possible! * Child under 3 are free! • Return: Bus will return to the Falmouth port approximately 1hr prior to scheduled boarding time. If you want to return earlier or later you have the option of taking a taxi or pre-booking a private transfer with us. • Guest must present a printed copy of voucher at checkin. If no voucher is presented you will be charged again at a higher rate. • Rates are for 1-15 persons...if you have 16 or more, please contact us! • Private transfers are also available, please contact us for rates! We had a very good experience with your team. We were picked up on time . There were 4 couples to be dropped off in Montego Bay. We were dropped off and told where and when to be back to be picked up. A few minutes after the pick-up time, we were transported back to the cruise ship port in Falmouth with plenty of time to spare to do some shopping. We will be calling on your team again with future visits to Jamaica. Thank you to Keith for a current events/history tour on our ride from the Port to Hilton Rose Hall. He was informative, professional, and honest. Everything was great and we would use you all again. Our driver, was very informative and professional. Our driver Byron was great, he was friendly and professional. He even came to find us on the resort as he thought we needed to leave earlier. Would book again! We had a great experience. Our driver was polite and looked great in his uniform. We will have no hesitation in using your company again. Thank you for providing a transportation service for our family in Jamaica. Everything was great. The driver was courteous and polite. the transportation was flawless. Vernon, our driver, was funny, informative, professional, courteous...I could go on and on. He was on point, exceptionally helpful in directing us to local shops and eateries, on time with pick-up, and made the whole experience beyond excellent. I would recommend your company without hesitation. Everything was awesome! Our driver was fantastic and super accomodating. The resort was great! loved everything and would love to return one day! The service was everything I was hoping it to be. Our driver was courteous and professional. I would certainly recommend your services to anyone interested. Had a fantastic time with the Jaital driver. He was very friendly. Would recommend Jaital to anyone. Our experience with your service was superb - great transportation and driver. Our driver Vernon was extremely polite and informative, sharing some of the history and explaining the sights of Jamaica on our trip from Falmouth to MoBay and back. Our stop at Scotchies for jerk chicken at his recommendation was a huge hit. Booking through the website was easy and my multi generational family had no trouble finding your personnel after our Royal Caribbean ship Oasis docked. 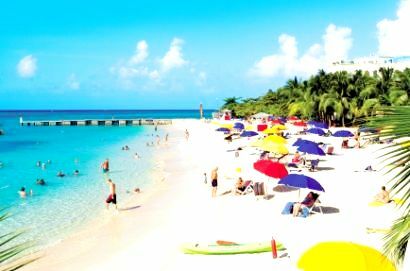 Derrick, our driver was professional and efficient as we rode in a clean, air conditioned van to Dr Cave's beach in Montego Bay, Jamaica. We had a lovely day and met Derrick at the appointed time for the drive back to the ship. We had a wonderful experience with our recent trip to Jamaica and with our driver Cole. He was an entertaining and informative guide! He was very dependable and was where he said he would be when he said he would be there. I would not hesitate to use your company again or recommend you to my friends. Thank you for helping make our vacation a great time! Our experience was excellent. The driver was very nice and they both drove very safely. We were extremely happy with the services. Everything went well and the driver was great. He was on time and also took us shopping. Jaital was a wonderful service. They were very nice and professional. The drivers (we had a different one on the way over and back) told us the history of various points along the way. 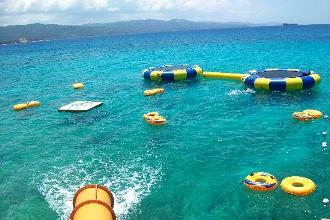 If we ever go on another cruise through Jamaica we will definitely book with them again. Our experience with Jaital was fantastic. The driver was very cordial and informative. We\'ll definitely use your service again. The service was first class and our driver was OUTSTANDING! The service was excellent. The drivers were easy to find and the service was prompt. We would definitely use your service again. We had a great experience our driver was prompt and very informative on our drive . W would use your service again and highly recommend it to others. We loved it!! Our driver was amazing!! We could not be more satisfied! I will be recommending your company to other cruisers!! We were most impressed with our driver, he made the transfer a thoroughly enjoyable experience. He was so knowledgeable, witty and funny. Thanks for a lovely day. We had a great experience. Our driver, was very professional, friendly and helpful. Thank you for the opportunity to comment on your services. We found the booking process quick and easy…very straightforward. Our driver, was in a word…excellent. We found him to be very knowledgeable about Jamaica and cognizant of our needs. Meeting time at the dock was as expected and the prearranged pickup time at Hilton Rose Hall Resort was kept. We will definitely avail ourselves of your services whenever we can in the Caribbean. On Wednesday, July 30, 2014, our service from Jeff (driver) was simply outstanding. Of all the drivers we have had on all the cruises we have been on, he was certainly among the best. He was very accommodating and helped us make adjustments to our schedule to maximize our time. He was not pushy and respected our wishes on what we were interested in seeing. He was very knowledgeable and answered all our questions on the local community and Jamaica in general. Outstanding !! Well Done Jaital !!! Excelente experiencia!!!!! Puntualidad, amabilidad. Van en excelente estado. Para repetir. Good experience. Will definitely use for our next trip and also our clients!